I’ve just had a really wonderful birthday, and one of the best things I got this year was a couple of new stunning bundt pans, like the one I used to make this fantastic pound cake. So, you can expect to see some pretty cakes coming up on the blog in the next few weeks! Pound cake is perfection. It goes perfectly with any topping, in any trifle or parfait, or all alone. 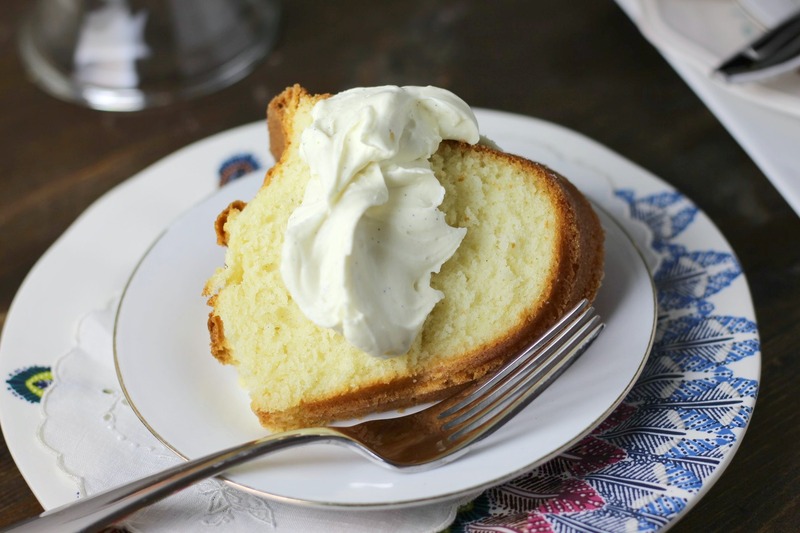 The term pound cake, as you probably know, comes from original recipes that used one pound of each ingredient. Today however, and particularly at a high altitude, this is not how we make it. 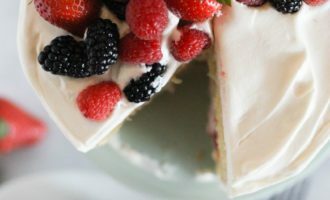 It’s a sturdy and yet soft cake, overall more dense than a normal birthday cake or sponge style cake. This means that it holds up well to cutting, decorating, and even stacking if you wanted to bake the batter in a normal cake pan. 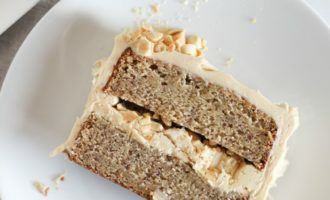 This version has a light lemony flavor and a hint of almond in addition to the traditional vanilla. It’s a great recipe to add blueberries to, poppy seeds, or another flavoring before you bake as well. 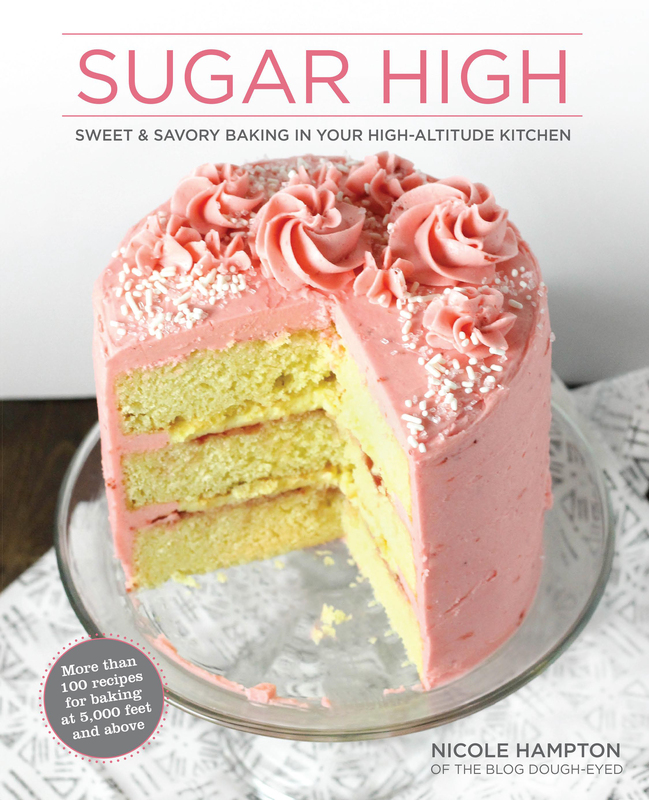 I’ve actually had very little success at baking pound cake at my Denver altitude, and this recipe is adapted from the CU Boulder recipe in High Altitude Baking, 2nd Edition. 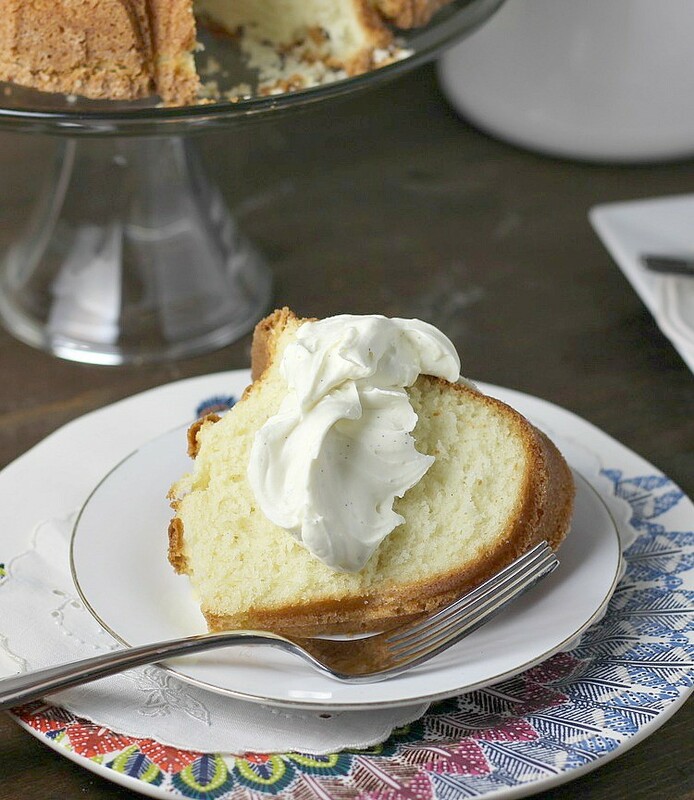 Seriously, its the best pound cake ever, and it’s very easy. 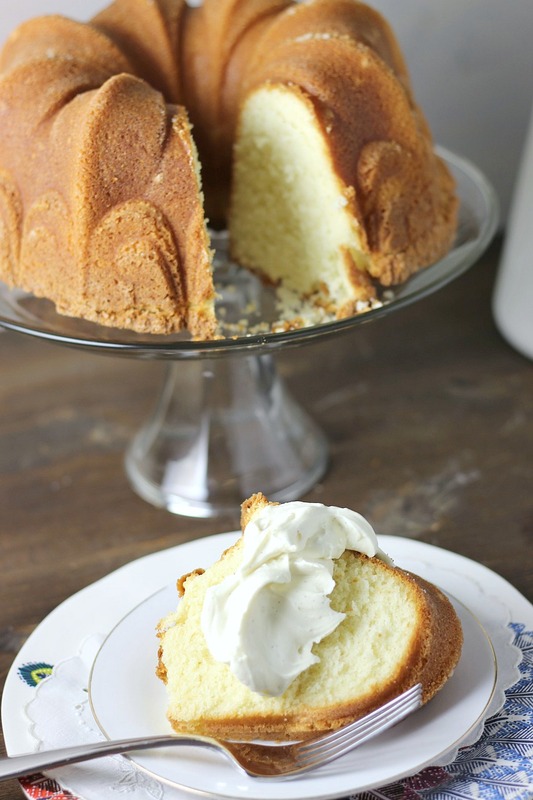 I’ve previously made many pound cakes that involved like 8 eggs and 10 cups of flour. This is MUCH more manageable. 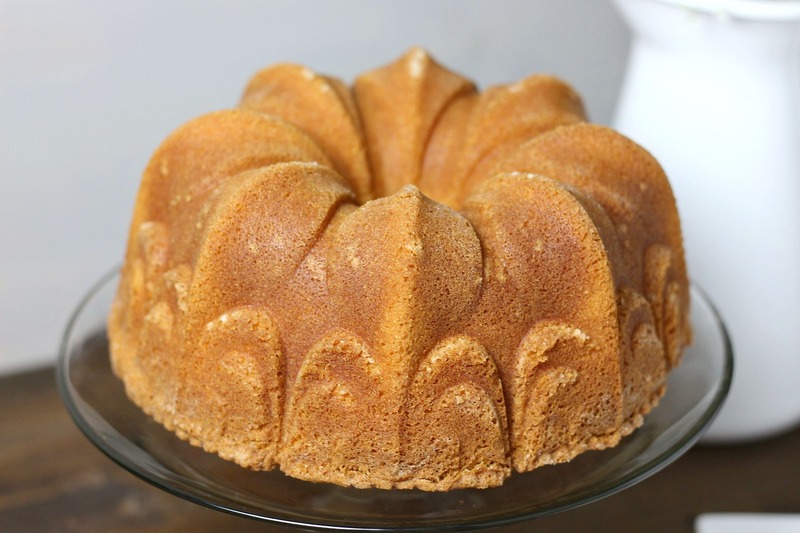 Preheat the oven to 350 degrees, and grease a 10 cup bundt pan. Crack the eggs into a measuring cup, and add enough milk to make 1 cup total. Then whisk together. Beat the egg mixture and the butter into the flour mixture, and mix for 2 minutes on medium speed. Then, add in the remaining milk, vanilla, almond, and lemon zest. Beat for 3 minutes on medium speed. The mixture will look fully mixed before the 3 minutes are up, but continue for the entire time. Pour into your greased pan, and bake for 60 minutes, or until a cake tester comes out clean. Cool completely, and turn the cake out. Enjoy! 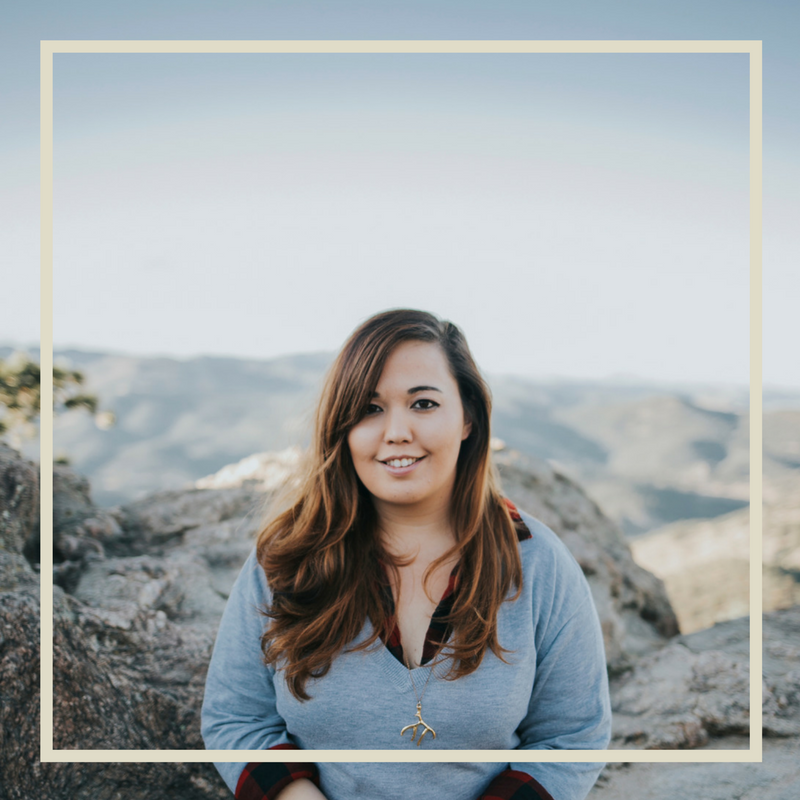 Just found your site and everything looks amazing! But before I try anything, I really need to know how you measure your flour. 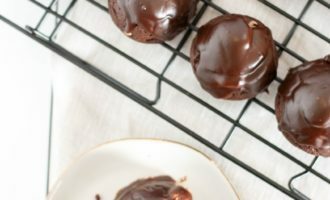 Dip and scoop method? Spoon in method? Do you ever weigh your flour out? Thank you! Hi I love this recipe I live in Calgary so not Denver but 3800, I do have a question is there a conversion for 2100 ft.
Hi Catherine! So if you are going to a lower altitude I would suggest reducing the flour by 2-3 tablespoons, and increasing the baking powder by 1/4 tsp. Since I can't really test in lower altitudes, I'm not exactly sure, but I think that should help!! Thanks! Hi Kim! I'm so sorry I missed your comment before! I'm a scoop-measurer when it comes to flour! Thanks for stopping by! 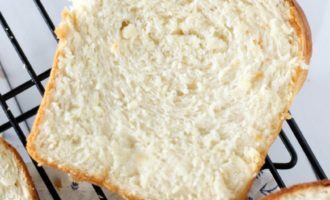 This recipe is actually adapted from CSU Fort Collins High Altitude Baking book. You are right! Thanks for pointing this out- I just switched over some of my recipe plugins and seem to have lost some data! It's added back in now- I'm trying to find ones that I may have missed! That's great Diane, I'm so glad to hear it came out beautifully for you!! Oh I am excited to see another Colorado Springs baker here. I will be making this cake in a few days!! I have some issues at 6700 feet. Thank you. Awesome, I'm so glad you found me! I hope the recipe works great for ya!